ALK recently released a new version of CoPilot for the Laptop PC. This is CoPilot Live | Laptop 7. This was released in the US for a few months and is now available in Europe. The CoPilot name and brand is a well known one both in Continental United States and all across Europe with ALK having offices both in America and England. CoPilot Live | Laptop 7 supports any PC running nearly the complete range of Microsoft Operating Systems. There are currently two packaged versions available, the USB GPS Receiver and the Serial GPS Receiver. What's more, unlike most applications that need a beefy processor and a huge amount of RAM, CoPilot's requirements are equally impressive only requiring a 266 Mhz Pentium II, 32mb Ram and 130mb Disk Space and a USB port is quite staggering! Now you can dig out that old laptop from the attic and actually put it to good use! For anyone that has already seen and used CoPilot Live on the Pocket PC, then you'll be right at home, the Laptop version looks almost identical to that of the Pocket PC version, just with larger fonts and features spaced out on screen a little better. 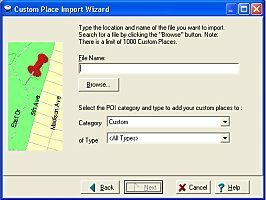 The installation process is pretty easy and painless, just follow the on-screen install wizard, activate the product over the internet and select whether you want to install the map files to your hard disk or use the CD's. 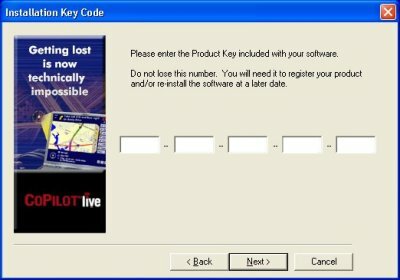 Like with CoPilot Live | Pocket PC 4, the activation key you are given unlocks CoPilot for the regions of maps you have purchased. This locks CoPilot to your PC, so if you need to move CoPilot to another PC later, perhaps you've decided to upgrade your PC, then you first need to deactivate Copilot from within the program. If you forget to do this, or don't get the chance say for a failed hard drive, then you can contact ALK Support and have the activation deactivated from their server and allow for another activation. CoPilot Laptop 7 also comes with Fonix text to speech engine (just like Pocket PC | 4), so you will have the option of installing this as part of the install process. Fonix TTS gives you benefits over pre-recorded sound files because it can read out street names to you which makes navigating a lot easier rather than a simple turn left or turn right you will hear something along the lines of "Turn left onto Wallbridge road". CoPilot Live | Laptop 7 requires activation, and the Activation website is at http://activate.alk.com. All you need to do to re-activate a product if you have de-activated is to enter your Product Key Code, license number and email address and an activation code will be emailed to you. Activation works well through a firewall, we tried this with ZoneLabs ZoneAlarm, and set it to restrict and ask you to allow CoPilot Livewire to talk through the firewall and it didn't complain when activating. The only difficulty you might experience with product activation is if you're using a proxy server, in which case you can manually activate by calling TravRoute. CoPilot Live | Laptop 7 continues to offer the LIVE service (hence the name CoPilot Live) where you can have someone on any internet connected PC visit the CoPilot Live server, use the credentials you set up for them and they can not only track you where you drive, see where you stop but also send you text messages to the screen and you can reply back and they can send you new destinations which you can accept. This feature works great, and we include it in the review later. 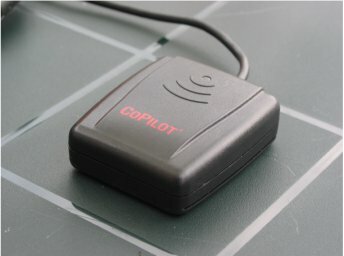 CoPilot Live | Laptop 7 will automatically start to check for a GPS Receiver. If it can't find one, it will tell you and you will be given the option to Find GPS which will initiate a scan through COM ports until it finds your GPS Receiver. Once you have found the GPS, or if the GPS was plugged in from the start, you will have the option of going to Planning Mode or Guidance Mode. This makes finding a GPS Receiver extremely easy and gets you up and running quickly and doubles up as a system diagnostic tool. If it can't find a GPS Receiver, then you know you have major problems with your Receiver or how it is connected to your laptop or tablet PC! CoPilot's toolbar is quite intuitive and is split into four sections. 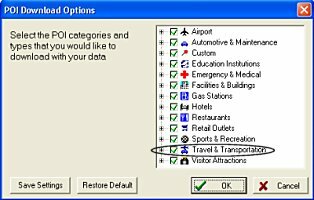 To create a new trip, simply click the New trip icon on the toolbar, and type in the City, Country or Post Code, followed by the Address and Name, and each time you press the tab key to go to the next field, you will receive a popup dialog which will narrow your selection down from searching the database. This should allow you to quickly enter an address without having to necessarily type in the full address, parts of an address will do. Like Southa for Southampton. Back when we reviewed CoPilot Live in July 2003 we did report a problem where post code lookups failed in certain geographic locations like parts of Southampton, England for instance. A typical location was looking for any address in the Bitterne area of Southampton would throw up the City as West End when entering the post code, or if you just wanted to enter the street name likewise you had to enter the City as West End and not Southampton which is incorrect. Unfortunately although this was down as a fix for future versions, this bug in the geodata is still here in Laptop 7 which is a little disappointing 12 months on, but does seem to be restricted to small areas so hopefully most people won't find this unless you are creating a trip from or to Southampton. There may be other areas of the country that are affected by this, but until now Southampton is the only City we have found that is affected by this. Once you have the trip setup with a start and end point and any stop overs created, clicking RUN will create the trip for you for navigation. When planning a trip, you don't have to navigate to just addresses, you can choose to navigate to POI's (Points Of Interest), Favourite locations or even Contacts from your Outlook Address Book. You can also choose which type of vehicle you will be driving whether it's a Auto (Car) or RV (larger vehicle), and by choosing whether you want to navigate via the Quickest Route or Shortest Route, you can even set to avoid Toll roads and set regular stop points for resting. When you click into Options to customise the route, there is an option to Avoid Toll Roads, but unfortunately that doesn't work for the UK and Europe and is a US feature. There is no support for avoiding Toll Roads in Europe, or congestion zones like the London Congestion Zone for instance but I am told that this is planned for future versions. The map screen within CoPilot gives a fully detailed map with scroll bars both vertical and horizontal enabling you to scroll around the map. You can also use the Zoom In and Zoom out buttons and to zoom in quickly click and drag a selector box on an area of map space to zoom in. Once you have planned your trip, you can then switch to Guidance mode using the left hand toolbar and this will give you full guidance. When in Guidance mode, there are two options you can select. These are Driver and Passenger. In Driver mode you won't be able to customise your display and you won't see a full screen map, making driving easy. If you switch to Passenger mode, the passenger can have much more features because they don't have to worry about keeping their eyes on the road and controlling the vehicle, so you will find a complete new menu appear. In Driver mode you will see from the top of the screen you are given information about the next turn by a graphic and descriptive text, below this you will see a large map that highlights the next turn and you will be given information about which road you are on and ETA. As a Passenger you will be able to switch back to Planning mode, change Destination, check the Itinerary, invoke a Detour, Save the Trip, switch to Live features and change a whole host of options. The reason why this has been split into two modes is that most laptops do not have touch screens, navigating the mouse, a trackball or even the keyboard when driving is extremely dangerous. Fine when you're pulled over in a layby, but it is there to stop you from making changes whilst driving and I think from a safety perspective it is a good feature. At the bottom right of the screen, there's four on/off buttons, these include voice requests, voice navigation, POI's and Information. Voice Requests allows you to talk to CoPilot and assign commands to specific spoken words that you will give CoPilot to switch between functions. This can work well, but when backed with a lot of noise in-car can become a problem at high motorway speeds. Under Options, the Passenger has a number of features to configure. You can go into the GPS Status screen and check the Satellite Fix status. You can also go into POI Alerts and select which type of POI's you want to be notified of. Selecting Map, Guidance, and Routing allows you to tailor various options under each of these categories. The Commands option allows you to configure which types of voice commands CoPilot will accept and what it will do when you speak the command to CoPilot. CoPilot Live | Laptop 7 supports a full compliment of POI's (Points Of Interest) with over 3 million POI's which can not only be seen on the map, but you can configure CoPilot to notify you when you approach or are in the vicinity of a POI. This includes POI's such as Airports, Automotive & Maintenance, Custom, Educational Institutions, Emergency & Medical, Filling Stations, Hotels, Restaurants and much much more. ALK did not include our PocketGPSWorld Safety Camera Database for the PC version of CoPilot, but have increased the amount of Custom POI Categories so you can still import the Safety Camera Database and other POI's into a large amount of Custom Categories. For those of you reading this review that don't know, our Speed (Safety) Cameras database covers the UK and parts of Western Europe! Click the Safety Camera image below to be taken to the Safety Camera page. Full instructions on how to import and configure speed cameras can be found from our Safety Camera Page. ALK have tried to make CoPilot Live as customisable as possible, allowing you to choose whether you want to have the map orientation in North Up, Heading Up, how you want to control the mouse and other things like whether you want a break from driving every 2 hours. Like with most navigation products, CoPilot also has an Itinerary screen. If you are the Passenger and you click the Itinerary button, you will see a screen like the following. This will give you every turn for the current trip and also giving you the ability to avoid a specific road on your journey. As mouse control in-car is problematic at best, you will find most functions are accessible via hot keys. I mentioned earlier the inability to avoid toll roads, but there is a feature in CoPilot that does allow you to avoid a specific road. You can do this from within the Itinerary screen, or you can do this from the Planning map screen. Simply clicking on the Avoid Roads toolbar button, you can then click any road and a red criss cross will appear along that part of the road. This will then stop CoPilot from choosing this as a route when you RUN the Trip. This is a good feature and allows you to block a road. For instance if you became stuck in traffic on a motorway and could see a motorway junction ahead, you could tell CoPilot to avoid anything beyond this junction, re-run the trip and allow CoPilot to re-route you. Or if you wanted to, you could just use the Detour option in the Passenger screen. The POI Import Wizard in CoPilot Live allows you to import any customisable POI's so they can not only be viewed in CoPilot on the map, but so you can configure CoPilot to alert you to these. POI's don't take up much space on the hard drive, so adding the POI groups you require is pretty easy to take them with you. When importing speed cameras or any other customisable POI's, you need to import them into a category called Custom. A good feature that has been included into CoPilot Live is a customisable POI system. This now allows you to bring in custom POI's from Microsoft Outlook or Excel and to import them into one of the pre-defined categories. CoPilot Live is just bursting with POI information! Allows you to select a range up to a square mile, and allow you to find major landmarks within this area. You can select or unselect any of the POI groups which is good if you do not want to be notified of particular types of POI's. Unlike CoPilot Live | Pocket PC 4, Laptop 7 has been modified to allow for a greater range of POI Detection which now allows you to be notified of POI's only 0.2 miles away compared with CoPilot Live | Pocket PC 4 where the minimum distance was 1 mile. Laptop 7 also allows for a maximum detection distance of 10 miles to the closest POI. Under the Passenger options you can also hide the visual notification for 5 seconds up to 60 seconds. This is a good feature, especially for Speed Camera use! When you get close to a new turn, or if CoPilot thinks you need to know more, the Safety Screen will change and you'll get an embedded map which will auto-zoom depending on the speed you are traveling and will continue to zoom as the turn approaches. CoPilot will still show the essential information on-screen. One thing existing CoPilot users will also notice from this screen shot is there are no repeat pink chevrons! ALK have added a new welcome option to allow for single or multiple chevron's to show where you are traveling. Using multiple chevrons are good if you wanted to use a track back feature, like you see on handheld GPS Receivers like Garmin and Magellan, but sometimes in-car it can clutter up the look on screen (especially if you're lost and you're driving round in circles, or driving down a lot of small side roads), so having the ability to customise this yourself is a welcome feature! You will also see full Latitude and Longitude, followed by heading, speed, elevation and UTC Date and Time from the satellites, and PDOP. You can also configure the COM port so you can use any GPS Receiver that you want providing you know which COM port it's on and the Baud Rate. CoPilot Live features two-way communications with drivers who are using CoPilot and to see where they are currently located using a PC connected to the internet. 1. A PC connected to the internet for the Tracker. 2. CoPilot Live running in the vehicle. The PC in the vehicle must have an internet connection, this is best achieved with a Bluetooth GPRS connection. To configure the Live features, you first need to create an account. You can do this at http://live.alk.com for US customers, or http://live.alk.eu.com for European users. The difference being that the maps that are configured are different between the two servers, so you need to choose the correct one. You can then create an account, enter in the CoPilot license number to track and add this to your account. Once you have logged in and assigned the license to track, you can configure this on the PC so the two will be married together using the one account. The Live feature of CoPilot Live is that simple. Once you start the application and have a valid internet connection in-car, it will automatically log on to the ALK server and transmit data at the pre-determined interval that you can configure. Then the person who wants to track you can log in on the Live Web Server, enter a tracking number and screen name that you have set, and they are logged in and can follow your progress. On the above screen the person tracking you can send you a new route, by clicking on the edit trip icon, or they can click on the live icon and just send you a message. This can be good if you want to ask the driver a question before sending a new route. The screen below shows the web pop-up window on the left from the the person tracking your progress, and they can type a message and the driver will then receive it in-car with the image on the right. The person tracking from the web can also send you on a new route, or adding a stop to your journey, by searching for the address, picking the correct location via postcode and then sending this to the driver. You can see the web console on the left and the driver screen on the right. At all times the person tracking the driver can see an update of the position via the web console, and see the messages and stops it has sent the driver and the response the driver has sent back. Needless to say, if you check the screen shot above (bottom right hand pane) although I didn't want to stop off for a crate of beer, I did! Right clicking the vehicle in the desktop application provides two options, send message and send route. CoPilot Live works very well on a Laptop and Tablet PC, however you have to bear in mind that there is no support for road avoidance in Europe, coupled with a few minor geodata problems in searching for addresses and wrongly categorised Cities. CoPilot Live can be purchased from ALK's European Authorised Dealers or from all good retailers for around £220 without GPS and £299 which includes a USB GPS Mouse. Both packages include Western European Maps. CoPilot Live Laptop 7 is a great addition to the PC market and the European market too! 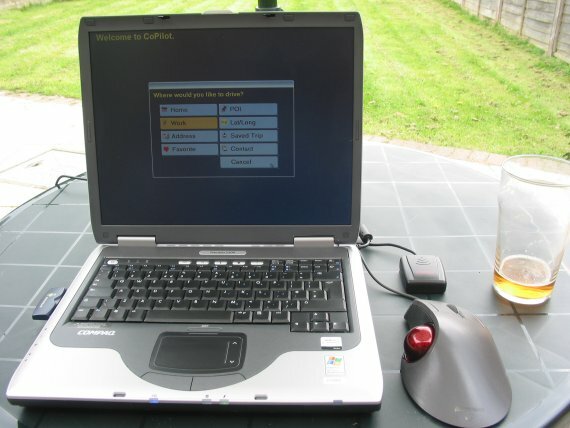 If you have operated CoPilot Live on a Pocket PC, it will operate virtually the same but with larger information screens. There are other cheaper solutions around for the PC, but they are still in their infancy in terms of Live features, but do still offer European style maps. CoPilot is a complete navigation tool. Not only for the road warrior who needs a larger screen on the dashboard, but also to allow your better halves to see where you are when you're on the trip home, giving them piece of mind knowing you haven't been caught in an accident or the unmentionable has happened. If you are looking to link a PC/Laptop or Tablet PC up with a Bluetooth GPS and CoPilot Live | Laptop 7, then check out the MSI Bluetooth USB Dongle review.